Mesquite powder is made by grinding the seed pods of the mesquite tree. The tree is found in deserts worldwide. This golden powder has a distinctive, sweet, almost nutty taste and works well in many different recipes calling for sugar. It is an amazing sweetener for barbecue sauces. Mesquite powder is high in protein, lysine, calcium, magnesium, potassium, iron, zinc, and dietary fiber. Mesquite is another sweetener recommended for diabetics or those interested in balancing blood sugars. 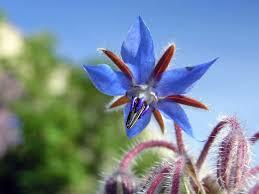 *edible flowers and blossoms, such as mallow, borage, fuchsia, hibiscus, jasmine and squash blossoms. Lucuma (pronounced luka-mah) is a subtropical fruit of Andean origin that was once known as the “Gold of the Incas”. It is most commonly grown in Andean valleys. Lucuma is fruit has smooth, bronze-yellow skin, and somewhat resembles a persimmon. Its bright yellow or orange flesh is usually blended into other foods. It has a delicious full-bodied, maple like flavor. It is dried then ground in to a flour consistency. Lucuma is a natural low-glycemic, raw sweetener that is low in sugars but high in beta-carotene, niacin(B3) and other B vitamins, fiber, calcium, iron, and low in fat. What Is Yacon? What are the Health Benefits? Yacon syrup is derived from the yacon plant, a tuber found in the Andean region of South America. Yacon is a distant relative of the sunflower and the Peruvian locals use it cut up in salads or in sweets. Because yacon syrup is plant based it is also vegan and a good alternative for vegetarians who want to avoid the high sugar content of maple syrup or honey. The roots contain potassium and the antioxidant vitamins A, C and E.
Yacon syrup is glucose free and contains at least 30% fructooligosaccharides (FOS). FOS is a common prebiotic that aids digestion and helps to stimulate the colon. FOS cannot be absorbed by the body which makes it naturally low in calories and low glycemic (some proponents of the syrup go so far as to say that yacon is non glycemic). Those sugars remaining in the plant that are not FOS are absorbed slowly into the bloodstream.